This page will host products that are designed to assist teachers, professionals and those who are working in our communities to promote positive relations and reduce the harm caused by hate crime. These resources are products that have been produced by National and International Govenerment Bodies that the UK is a member, or from local partnerships that are supported by a local police organisation. If you have a product you want to share please get in touch with us here. You will need the endorsement of your local force before we will be able to add it. 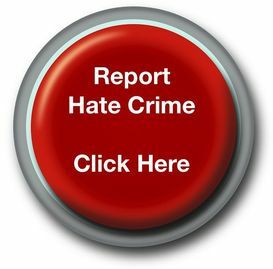 These resources can be used by teachers to explore the issue of hate crime. The Crown Prosecution Service, National Union of Teachers and many community groups have worked together to produce a range of resources. Pupils from schools throughout the country helped to devise, the dramatised scenarios included in the presentations. They provide starting points for discussion and are based on real life experiences of the young people who took part in the project. Classroom activities and guidance for teachers are available below, they are designed to increase pupils' understanding of hate crime and prejudice and enable them to explore ways of challenging it. Check out the sample Teachers Pack below which are for guidance only. You may need to download Adobe Reader to view files in PDF format. You may need to download Microsoft viewer software to view Word, Excel or Powerpoint files.